The Seaborg Center offers aerospace-related information, resources and materials to all formal and informal education audiences, along with the local community. 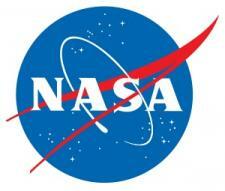 We support STEM literacy with a focus on NASA content throughout the local region. The Center assists all formal and informal educators such as in-service teachers, pre-service teachers, school administrators, professors, girl/boy scout leaders, librarians, planetariums, museums, and homeschoolers interested in learning about NASA-related topics. The only ERC in the Upper Peninsula, we sponsor NASA-related workshops and distribute free NASA educational materials to educators. Materials are available for all grade levels and include teacher guides, videos, colored prints and posters. All instructional products are aligned with national science, mathematics and technology standards and cover a variety of topics related to NASA’s four major missions: earth science, aeronautics, space science and human exploration and development of space.